Proudly celebrating our 10th year in the Solar industry. 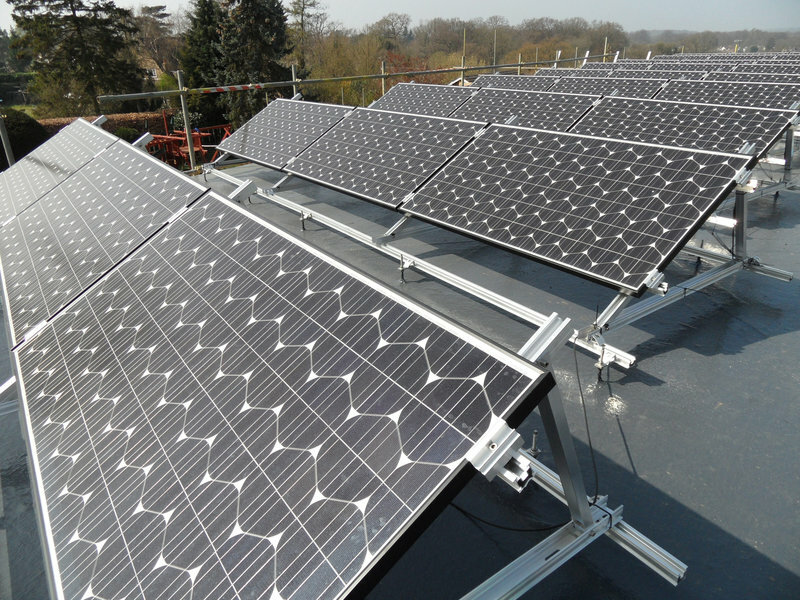 We have been designing and installing Solar PV systems since 2009. Our team has amassed invaluable experience in both the residential and commercial sectors with system sizes ranging from a single panel on a shed roof to a thousand panels mounted in a field. We are always happy to discuss a potential project so please call for a friendly, informal chat or drop us an email and we will help as best we can. Can't fault this company, Warren was so helpful and knowledgeable from the outset and went out of his way to ensure everything ran smoothly, on time and to our satisfaction. He was always on hand and this has continued after the installation, the after care service is excellent and one reason we chose Igloo; we haven't been disappointed in any way and the installation of the solar panels is probably the best thing we have ever done! Warren's team worked hard and professionally on the installation and completed it within the day, they were polite and courteous and we can't recommend Igloo highly enough. Helpful, knowledgeable, prompt responses, efficient, neat, problem-free, on time, good quality, impressive, absolutely recommended. Andrew and Marc installed a solar and battery system for us over the summer, having beaten the quotes we had received from a larger supplier. Andrew was communicative and helpful throughout and maintained the support when the inverter decided not to behave (we have a slightly atypical setup). Andrew and Marc stayed in touch and on the case until the system was up and running. I would happily recommend them to anybody. Following a recommendation by friends we contacted Igloo and were pleased to learn they covered Norfolk. Andrew was so professional and recommended a system of panels and a storage battery that was just perfect for our needs. The installation was faultless and carried out in one day. Andrew even checked that we were happy and the system was working as it should be while he was on holiday! Fantastic service and brilliant price. We had a PV system installed by a failed installer 3 years ago, it never worked properly so I contacted Igloo to see whether they could identify faults and correct/improve the errors. Andrew came and did a survey and review of the other company's installation and quickly realised the faults. Igloo then sent a professional team and organised polite, quick and efficient scaffolders to attend and repair/correct the faults and our system is now performing 100% as it should. I never give 10/10 for this type of review and rarely use the word 'excellent', but I make an exception here for Igloo and Andrew, I simply could not have expected more! Andrew and Marc were extremely helpful throughout the whole process. I would highly recommend this company if you are considering solar. We are very pleased with the system. Tesla lithium solar battery installation. We decided on Igloo to install our solar panels as a result of a personal recommendation. We could not be more grateful for that tip. The installation went more smoothly than we could have imagined and we have been enjoying the benefits ever since. We were amazed how much electricity was generated in the winter months and now the early Spring sunshine is shining down on the panels and the power of these generating panels is being used to the full. We have already had a reduction in our fuel bill and a promise of reimbursement for the electricity we have generated. We are so impressed that we have ordered a storage battery in addition and we want to single out Andrew Gilbert for his positive and friendly attitude and his after-sales service. We recommend Igloo whole-heartedly.